From 1989 until the late 90s, Toad the Wet Sprocket strung together a rash of hit songs culminating with 1994’s “Fall Down.” The band broke up in 1998, shortly after releasing Coil which spawned the hit “Come Down.” 2017 marks the 20th anniversary of Coil and the band, which reunited in 2006, are going on tour. Surviving the Golden Age got a chance to catch up with bassist Dean Dinning to talk about Coil, the break up, and Sierra Club. This year marks the 20th anniversary of Coil. How do you think the album holds up? I think the album holds up very well. We had a great set of songs- a wide variety of sounds going on. There’s wonderful softer songs like “All Things in Time”, and some of the heaviest sounding songs we ever did like “Amnesia” and “Desire”. And we got Van Dyke Parks to do a string arrangement for “Little Buddha”- that was something I had been wanting to do for a long time. We had the album mixed by Tom Lord Alge- the best mixer in the business. So it sounded fantastic. What were the recording sessions for Coil like? With “fear” and “Dulcinea” we had gone away to residential studios to record. “Coil” was made at home in Santa Barbara and Burbank. We recorded the basic tracks at a professional studio, then finished them at a studio we had built behind Todd Nichols’ (lead guitarist) house. The sessions went smoothly, except that the 24 track recorder we were using wouldn’t let us punch out of a track after we had punched in, so if we needed to correct a mistake in the playing, we had to keep playing ’til the end of the song. That was fun. “Come Down” is probably the best remembered track from the album, do you think it is the best song on the album? I think “Come Down” is a great song. I remember working on it with Todd, who had written 2 great songs that we were getting ready to show the other guys in the band. I suggested we combine the music from the 2 songs into one “super song”. At first it didn’t seem like they went together, but once we got used to it it seemed to flow nicely. I don’t know if it’s the best song on the album, but it’s a good single. My favorite song on the album is probably “All Things in Time”. I love that one. Coil was your last album before breaking up. Do you think any of the inter band tensions made it onto the record? I don’t think any of the inter band tensions made it onto the record, but the way we recorded it could have contributed to the breakup. One of the reasons we decided to record it at home was that some of us had recently gotten married and started families and didn’t want to go away for 3 months to make a record. We ended up recording a lot of our parts separately, one on one with our producer, Gavin MacKillop. I was always worried that somebody else in the band wasn’t going to like a part I played or an idea I had, and that gets your mind spinning. The natural fallout is to think “I wish I could just do this on my own and not have to get the other 3 guys’ approval”. So in order to do that, the band breaks up. It’s funny-when we’re together, we’re fine. When we’re apart, we start imagining all kinds of bad thoughts the others may or may not be having. It’s the nature of worry in general. Not good. How did you come about reuniting? Who approached who? When we first reunited, it was because our friends Counting Crows wanted us to play a bunch of shows with them in California. Glen had been opening up for them solo, and Adam came to us with the idea of us regrouping. By the time we had gotten back to them, the tickets had already gone on sale with both of our names on them, so it was too late. I always wanted the band to get back together. I love the music we make together. I don’t have a solo career, like Glen, so we were really just waiting for Glen to say he wanted to do it. You are preparing to embark on a US tour where you’ve teamed up with Sierra Club’s #ReadyFor100 campaign. How did that partnership come about? What is your relationship with Sierra Club? #ReadyFor100 is about getting people to commit to 100 percent clean energy. We are leaders in that field out here in California- and we are getting close to that goal. There was a moment the other day when we hit 67% renewable energy being used. We like to partner with an organization we all believe in. We all enjoy the outdoors- Todd is an avid fisherman, Glen does a lot of trail running- so keeping our air and water clean is a big deal to us. The Sierra Club was founded in California by John Muir. It’s one of the oldest environmental organizations out there. We’re happy to be raising awareness because we’re proud to be from a state that’s leading the way in this area. What songs from Coil are you looking forward to playing live on tour? We play a lot of songs from Coil already- “Rings”, “Dam Would Break”, “Come Down”, “Crazy Life” just to name a few. One song I’m looking forward to playing is “Don’t Fade”. It’s one of our best songs that has that 6/8 feel, which is something we’ve had on all of our records. I love the arrangement of that song; the way the lead guitar chords float over the rhythm tracks. It’s a fairly simple, open arrangement, but I love the space it has. And I don’t have to sing backup vocals on it, so I can just concentrate on the feel and enjoy listening to what everyone else is doing. Another one I’m looking forward to playing is “Amnesia”. We don’t have anything else quite like it- it’s pretty aggressive. 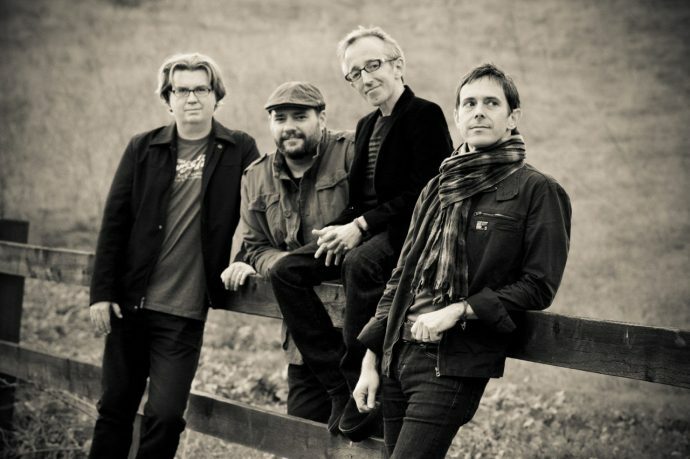 Post-tour, what’s next for Toad the Wet Sprocket? A new album perhaps? We aren’t working on a new album, but we do have 2 new songs that will be coming out soon. One is a cover that we recorded for a tribute album of Roger Miller songs that’s coming out soon. Roger Miller is most famous for “King of the Road”, but wrote a ton of amazing songs, including the one we cut “Nothing Can Stop My Love”, that he wrote with George Jones. Some of my favorite country artists are on the record, like Kacey Musgraves, Willie Nelson, and Allison Krauss. The other new song is an original we wrote for an animated feature film that’s coming out in September. The movie is called Animal Crackers, and it’s absolutely incredible. It’s got the voices of Ian McKellen, John Krazinski, Emily Blunt, Sylvester Stallone, Patrick Warburton, Gilbert Godfried, and my personal favorite- Wallace Shawn. “Inconceivable” right? We are in good company there as well; they have new songs by Howard Jones, Huey Lewis, and Michael Buble in that one. So no new album, but lots going on. There’s plenty left for us to do.